Opportunity to get some fruit trees, is it worth it? I may have the opportunity to go and dig up some fruit trees, but it has to be this weekend - beginning of August! Which is of course when all the fruit trees are busy making fruit. There is a pear, a bramley apple, 2 plum trees, all about 8-10 foot high. And a damson and crab apple, 2-3 foot high. They are free! As long as we do the digging up. But does anyone think they would survive being dug up at this time of year? Re: Opportunity to get some fruit trees, is it worth it? I guess it depends how much you disturb the roots. They say the roots are as big as the top. How big a crater can you leave behind? If you do try it dig a big hole first, where they will go, and water them well before and after moving. Presumably the people giving you them want rid, so there is nothing to lose except a bit (lot) of sweat if you try to move them. Yes, they will probably drop fruit and leaves, but if they are going to be got rid of and you want them, why not? I love having fruit trees, as do the chooks and geese. Worth going for if you have nothing to loose. It certainly isn't the best time to moving trees. 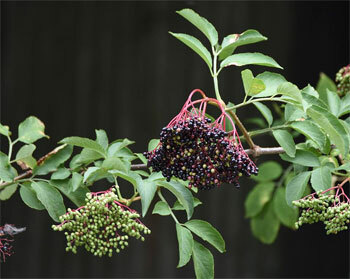 If you buy fruit trees as 'bare root' then they are dispatched late winter for planting when they are really dormant. The trees at 2 to 3 foot should be easy enough, and the crab apple will be especially useful as a pollinator if you have other apple trees. The trees at 10 feet will be a bit more of a problem but if you can get them them out without too much root damage they might do alright. Even if they drop their leaves and seem to not be doing so well, it would be worth leaving them through the winter, it is amazing how things can come back in the spring. Well, we went and had a look, and came back with 2 trees. We have a small crab apple, only about 3ft high, which was very easily moved, and is looking fine. Also a damson, about 4-5ft high, which didn't take to the move very well, it was looking very sorry for itself by the time we got home. They both went straight into the ground and had loads of water - a huge thunderstorm and rain like stair rods helped an hour later. Most of the other trees were just too enormous. My OH reckoned the trunks were the same width as his leg (he is a chunky lad!) so they couldn't be moved without some big digging equipment. But there is a plum and a cherry, about 7ft high, they will be difficult to move but it could be done. We are going to wait till they have finished fruiting (thank goodness, it gives them more of a chance) and then go back and move them. I think I will ask the lady if she wants my OH to take his chainsaw up to take down the huge ones - I hate killing trees but she can't keep them and it helps her out as she won't have to pay someone to do it, and we can take the firewood for our stove at least. Just keeping my fingers crossed for the damson and giving it lots of TLC.